Love Elephants? 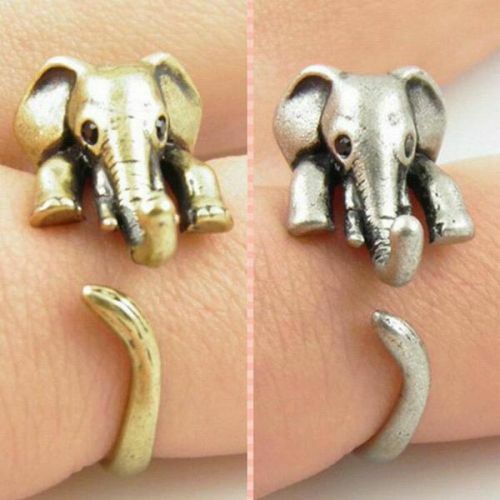 This one-of-a-kind Antique Elephant Wrap Ring is perfect for you! The ring is adjustable and fits to all sizes. It is made of zinc alloy with a diameter of about 2 cm. Comes in antique bronze and silver. Buy one for yourself or for that special elephant lover in your life!